A Choropleth Map is an example of a thematic map. It shows specific information without distorting the basic geographical shape of the location. 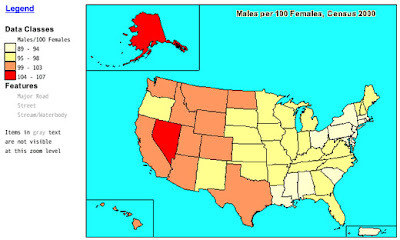 Above is an example showing males per 100 females during the United States 2000 census.